Participants in the program enroll in two courses of 2 credits each, receiving a total of 4 law school credits. Academic fees for Marquette Students, in-state University of Wisconsin students and students from other U.S. law schools is $1,960*. Students attending other U.S. law schools are welcome to enroll in the program, but additional academic fees will apply to them. The academic fees cover the use of the academic facilities, including libraries and computer labs. Students from Marquette and the University of Wisconsin will receive academic credit from their home institutions. Students from all other U.S. law schools will receive academic credit from Marquette University Law School. Non-academic fees for all students is $2,540 and includes lodging and some meals. Participants will stay in shared twin or three-bed rooms in a small hotel near the University. Every room is equipped with a small kitchen unit. Please note that no alcohol or smoking is permitted in hotel rooms, and that students are expected to be respectful of other guests. Bedding will be provided, but participants should bring some extra towels. Laundromats, supermarkets and ATM machines are located near the hotel. A breakfast buffet will be provided at the hotel every day, and is included in the student fees. Students are responsible for their other meals. Each participant will receive a meal card which can be loaded with cash and may be used at University dining facilities which are open from 9:00 a.m. to 7:30 p.m.
Non-academic fees also include all travel and lodging expenses (but not meals) for two multi-day field trips to Brussels, Belgium and Berlin, Germany. Neither the academic nor the non-academic fees listed above include travel between the U.S. and Giessen. Students must arrange their own travel. Nor do the fees cover personal expenses such as entertainment and recreational travel. *Academic fees for resident and non-resident students attending the University of Wisconsin, other than residents of Minnesota, may vary slightly from this amount. Higher academic fees apply to U.S. students who attend a law school other than the University of Wisconsin or Marquette University Law School. Contact Professor Ed Fallone for more information at edward.fallone@marquette.edu. The application for the program is available at the following link. The application should be submitted in hard copy as indicated below. Along with the application, students are required to submit a non-refundable deposit of $100 in the form of a personal check payable to "Marquette University." The deposit will be refunded only in the event that the program is cancelled. Applications for the program are due March 30, 2019. Applications received after that date will be considered if enrollment permits. If enrollment is insufficient as of April 1, 2019, the program may be cancelled (see the Cancellation Policy below). Accepted applicants will be required to complete an online registration form and to participate in an online orientation process prior to departing for Germany. More information concerning registration and orientation will be provided to accepted applicants. Hard copy applications for Marquette students can be submitted directly to Professor Ed Fallone by leaving them in his mailbox in Room 453 of Eckstein Hall. Professor Fallone can be contacted at edward.fallone@marquette.edu. Hard copy applications for University of Wisconsin Students may be submitted to Professor Anuj Desai by leaving them in his mailbox. Professor Desai can be contacted at anuj.desai@wisc.edu. Law classes have been offered at the Justus-Liebig-University in Giessen since 1607. Famous academics such as Rudolf von Ihering (1818-1892) and Franz von Liszt (1851-1919) are among past members of the Faculty of Law. After its temporary closure following World War II, the Faculty of Law and Economics was reopened in 1964. A separate Faculty of Law was re-established in 1970. Today, the Law Faculty offers expertise in a wide range of subjects with a particular emphasis on European and international law. The Faculty cultivates strong networks with numerous universities outside of Germany, and hosts many foreign undergraduate students from Erasmus partner universities as well as from universities in Queensland, Australia, Porto Alegre, Brazil, Kazan, Russia, Potchefstroom, South Africa and Wisconsin, USA. Graduate students from outside Germany are welcome to apply for the one year Master degree "LL.M. in German Law". The Faculty also offers the opportunity to obtain a doctoral degree (Dr. iur.) based on a thesis submitted either in German, English or another approved language. German language courses are offered throughout the semester and immediately before classes start. The park-like campus of the University of Giessen is situated near the center of the City of Giessen. Many of its older buildings are included in various registries of historical buildings. Giessen is a city of approximately 80,000 residents. Located in the German state of Hesse in west central Germany, Giessen is less than an hour northwest of Frankfurt. The city's origins date to a moated castle built in 1152 by Count Wilhelm von Gleiberg. Communities around Giessen are among the oldest in Germany, dating back to the year 775. 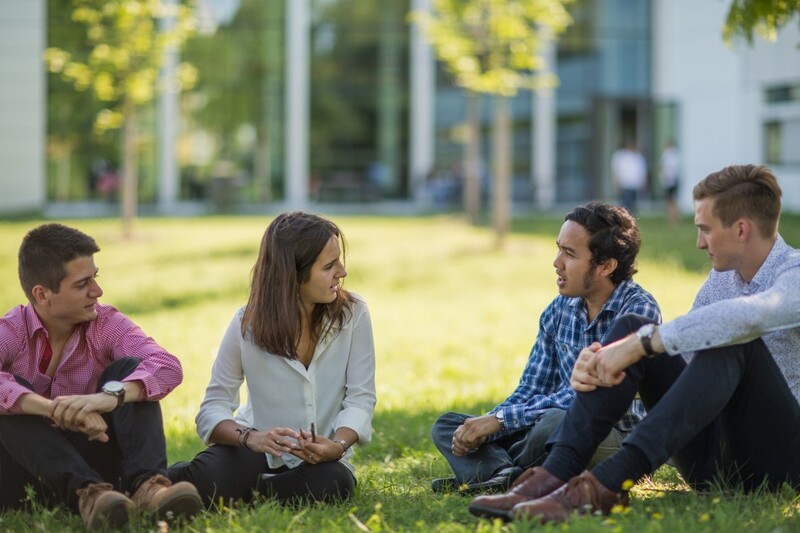 In addition to leisure-time activities provided by the University itself, Giessen offers a wide variety of music, clubs and bars as well as cultural activities such as theatre and opera. The University's 22,000 students make Giessen the most student-dominated city in Germany. Students will need a passport to enter Germany and any other foreign country, and also to return to the United States. Applications for passports are available at any U. S. post office. It can take up to a few months to receive a passport so you need to apply well in advance of your departure date. Because Germany is a signatory to the Schengen Agreement, U.S. students enrolled in the Summer Session, and staying in Europe for less than 90 days, do not need to obtain a German visa and will be able to travel to all other European countries participating in the Schengen program, without a visa while they are residing in Germany. For information on which European countries participate in the Schengen program, see the State Department website located at this link. Please be aware that visa requirements may change. However, students who plan to add on additional travel to countries outside of the Schengen program, or who plan on staying in Europe for more than a total of 90 days, may need to apply for and obtain visas prior to leaving the United States. Contact the Embassy or consulate office located in the U.S. of the foreign country that you plan to visit as soon as possible, in order to learn about any visa or tourist registration requirements that may apply to travel conducted outside of the Summer Session in International and Comparative Law. The sponsoring schools may cancel the session in the event of insufficient enrollments received by April 1, 2019. Students who have applied before April 1 will be notified immediately after that date whether the program will be held or must be cancelled. IMPORTANT: Students should not make flight arrangements until after they receive notification that the program is sufficiently enrolled and will be held as scheduled. Laws and practices in other countries are not necessarily the same as in the United States, and the sponsoring schools cannot assure students that all of the facilities used in the program will be handicap accessible. Experienced support staff maintain a "help desk" that is available to assist participants with travel, lodging, medical issues and other requests during the duration of the program. Further information about the Summer Session in International and Comparative Law can be obtained by writing to Professor Ed Fallone at Marquette University Law School at the following email address: edward.fallone@marquette.edu.